Have you thought about trying a GFCF diet for your child with autism? If you haven’t you should, and in the guest post below, Dave from I’m Simply a Dad, will tell you why! No parent likes to see their child struggle. For autism parents, it seems like we have to watch our kids endure one obstacle after another. Sometimes, we are able to help them through it, but many times their hardships are deeply rooted in their biology. This is why the GFCF diet is a must for autism because it provides the building blocks for healing. If we provide them with the support they need, the body will heal, behaviors improve, and symptoms can disappear. The GFCF diet seeks to heal the gut and calm down the immune system. By doing these two things, digestion and cognition improve, aggression and anxiety decrease, and you’ll even notice improvements in sleep quality. The child starts to feel better, and it will seem as if the fog has been lifted from their brain. Now, of course, this does not happen overnight. However, after a few weeks on the GFCF diet, you will begin to see progress. There are some lucky parents that do see immediate results. One parent even told me they heard their nonverbal child’s first words after just 3 days on the diet. What is the GFCF diet for autism? The GFCF diet is the removal of gluten, casein, and all food ingredients derived from them. Soy is often removed as well due to its similar molecular structure. Gluten is a protein found in wheat and other grains. Casein is a protein found in dairy, which is why some people refer to this as the GFDF diet or the gluten free, dairy free diet. Soy is, of course, anything derived from soybeans. 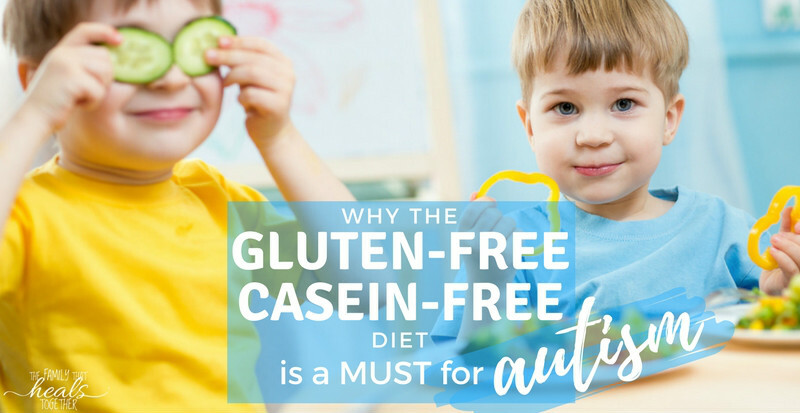 Why is gluten free casein free good for autism? Kids with autism and even ADHD tend to have overactive immune systems, which is what contributes to the severity of their symptoms. When we eat foods containing gluten, casein, and soy, it causes an immune response in many of us including our kids on the spectrum. These 3 ingredients are quite inflammatory, and they are responsible for a large portion of food allergies and food sensitivities. If we eat these foods several times a day, then this can lead to chronic inflammation. The gut and the brain are connected by the vagus nerve. This means that the brain can “talk” to the gut, and the gut can “talk” to the brain. Each has the power to influence the other, so if we want to help our kids with autism think more clearly and stabilize their emotional state, then we must heal their gut. Leaky gut is a condition that has been repeatedly linked to the autism and autoimmune population. Essentially, someone with leaky gut has cracks in their gut lining allowing things to leak into the bloodstream. This can be toxins, microbes, or undigested food. Obviously, we don’t want toxins and infectious microbes to be floating around in our bloodstream, but what about undigested food? When the body sees partially digested gluten and casein proteins floating around, it tags them as foreign invaders. The immune system then mounts an attack against them, which leads to inflammation. Even worse, these partially digested proteins can resemble our body’s own tissues. An overworked immune system can inadvertently tag the tissues of things like our thyroid, and start eating away at it. (This is called molecular mimicry.) Eventually, this leads to autoimmunity, which is why I encourage parents to adopt the GFCF diet with their children. If the diet can help your kids, then chances are you can benefit too. In an unhealthy gut, gluten and casein may be broken down into molecules resembling that of opium. These gluteomorphin and casomorphin peptides can trigger the same receptors in the brain as heroin and other opiate drugs. The purpose of the GFCF diet is to take away many sources of inflammation and help the immune system to throttle down. When the immune system is not overworked, it is less likely to mistake our own tissues as foreign invaders. Diet is the foundation for all healing. Progress in other areas may be slow if you do not first clean up the diet. Remember, the brain is only as healthy as the gut. If you want to help your child become the best they can possibly be, you have to heal the gut. Eliminating gluten, casein, and soy is the critical first step that will allow our kids to progress in school or through other therapies and treatments. What foods can I eat on the GFCF diet? I’m sure the question you’ve been asking for a while now is “What CAN I feed my family on this diet? !” You actually have a variety of foods you can eat. Fresh fruits and veggies are always okay. All 100% meat is GFCF, but double check labels for processed or cured meats like sausage, bacon, hot dogs, pepperoni, and other processed meats & meat products. There are a number of gluten-free flours and grains for you to choose from, and you can offer different milk alternatives like coconut or almond milk. There are even vegan cheese options that are gluten and dairy free too. If you would like to learn more about what you can eat, I have a beginner’s GFCF food list that includes several specific brands and meal ideas to help get you started. Want to dive deeper into the GFCF diet? For anyone wanting to take a much deeper dive into the science behind the GFCF diet, I have an in-depth GFCF Diet Guide on my site. This free guide will help you fully understand why adopting a GFCF diet is the critical first step in any treatment for autism. I believe the GFCF diet should be the starting point for any autism treatment. Unfortunately, many parents are paralyzed by the sheer magnitude of such a dramatic change in their lives. When we started our son on the GFCF diet, it was so overwhelming. I remember nearly crying after our first trip to Whole Foods. Everything was so expensive, and I remember thinking how can we possibly afford this? Fast forward 8 years, and the diet is easy. 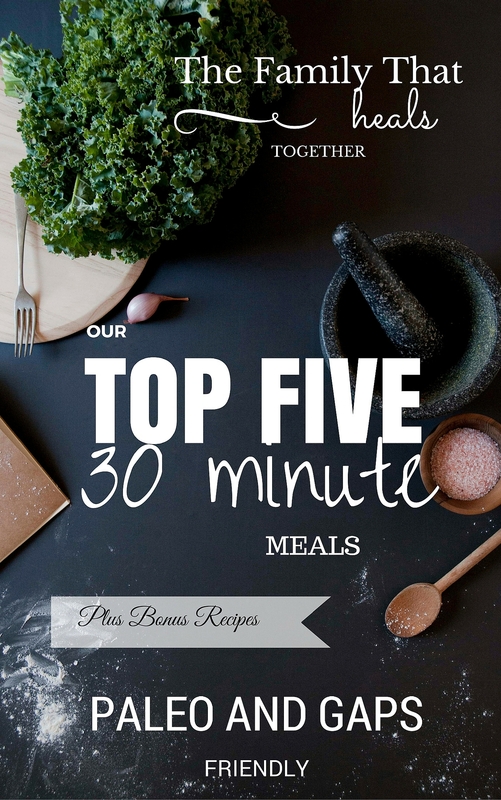 We’ve been able to tweak the diet here and there with relative ease to fit my son’s needs. I guess you could call me a GFCF pro now. It’s one of my greatest successes as an autism Dad. It took us a little longer to see positive results, but we did see progress with our son. Our biggest gains were with sleep and a stronger immune system. He no longer gets sick all the time, the constant skin rashes diminished, and his sleep quality improved drastically. A few years after starting our son on the diet, the rest of the family has joined him on the diet. My wife’s once severe asthma is nearly cured. She has been inhaler free for years now. I personally lost almost 100 pounds, and our healing diet has helped improve my mental well-being significantly. In our kids, inflammation can manifest as sleep struggles, attention difficulties, hyperactivity, behavior problems, and gut issues like constipation, bloating, or diarrhea. The goal of the GFCF diet is to reduce the burden on the body by removing foods that can trigger this inflammation. However, the true purpose of the GFCF diet is to help our kids feel better. Adopting a GFCF diet will allow the body to heal. As their body heals, they will start to feel good. When our kids feel good, then, they can really begin to progress and thrive. If you are ready to help your child start healing through the GFCF diet, I have a free jump start kit over on my website, ImSimplyaDad.com. Printable Cheat Sheet: List of foods you can eat on the GFCF diet. This jumpstart kit is my gift to you. Simply head over to ImSimplyaDad.com/subscribe, and sign up to get yours today! Remember, I’m simply a Dad sharing the knowledge and experience I’ve learned over the past 8 years. The content presented is for informational purposes and should not be considered medical advice. My name is Dave, and I’m Simply a Dad. My son’s autism diagnosis opened my eyes and taught me how to better care for myself, my family, and truly appreciate the important things in life. Our family has made great strides in our healing journey. It is my mission to share our experience and the lessons we’ve learned as we work towards health, hope, and happiness. Most likely, this is a lifelong way of eating, although with more intensive gut healing, some children are able to reintroduce some foods. I suggest doing the GAPS diet for this.